The University Promenade is fully opened, starting today, and will serve as a place of gathering, community and vitality. 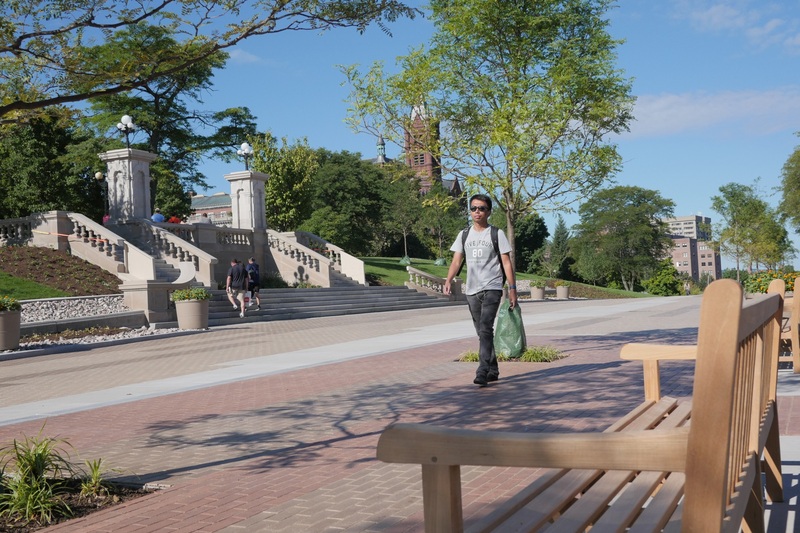 Stretching from the Newhouse School complex to the Schine Student Center and Bird Library, the project has created a pedestrian-friendly promenade from what was once a busy street with heavy vehicle traffic. 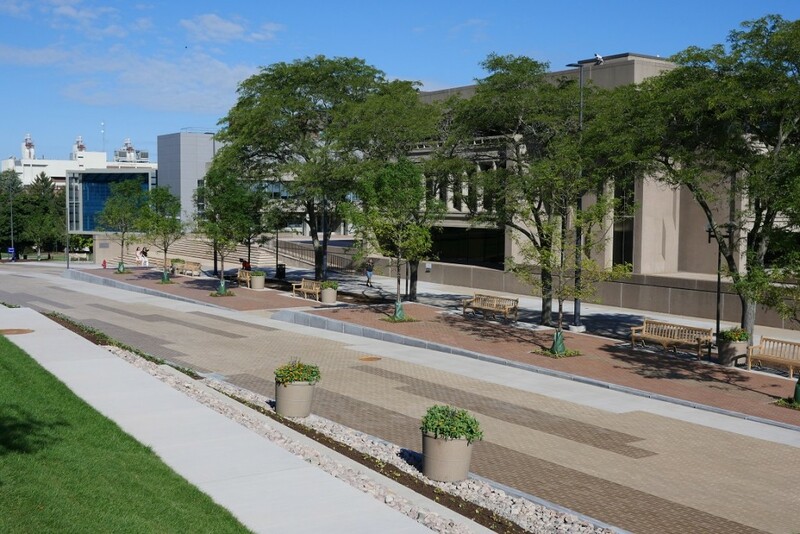 The walkway features activated plazas, improved landscaping, increased ADA accessibility and a greater sense of physical connectedness for all members of the campus community. As part of the Campus Framework, the Promenade was developed to support the goals of the Academic Strategic Plan to enhance the student experience and build a sense of “One University.” The Campus Framework Advisory Group, composed of faculty, staff and students, partnered with design firm Sasaki Associates on a variety of plans to advance and strengthen the University’s spaces and facilities. The University Promenade stretches from the Newhouse School complex to Bird Library. With the final touches on the Promenade put into place over the past several days, campus community members are pleased by the results. “It’s a much more pleasant area to walk through. Pedestrians can walk through and enjoy the area. I think it’s really nice,” says Steven Ajayi ’17. Many on campus this summer have seen it taken shape. “We have watched in awe from the windows of Bird Library at the frenzy of activity all summer, from the massive infrastructure upgrades of pipes, conduits and drainage systems disappearing underground, to the beautiful finishing brick work and landscaping of recent days,” says Dean of Libraries David Seaman. Benches line the University Promenade. Seaman recognized the work that went into making such a unique space on campus. 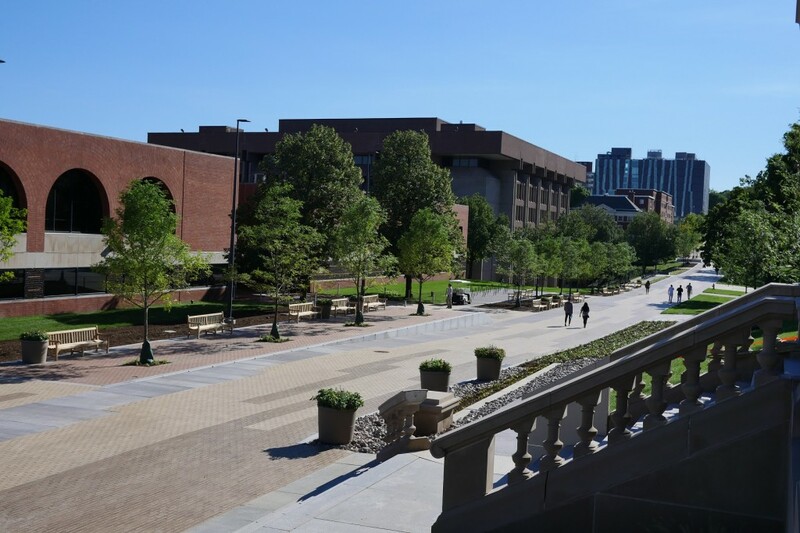 “The skill and commitment of the planners and construction crews have been impressive to witness, and we go into a new academic year with a safer, more functional and elegant connection along University Place to our neighbors in Schine and Newhouse, and across the Promenade to the Quad,” Seaman says. 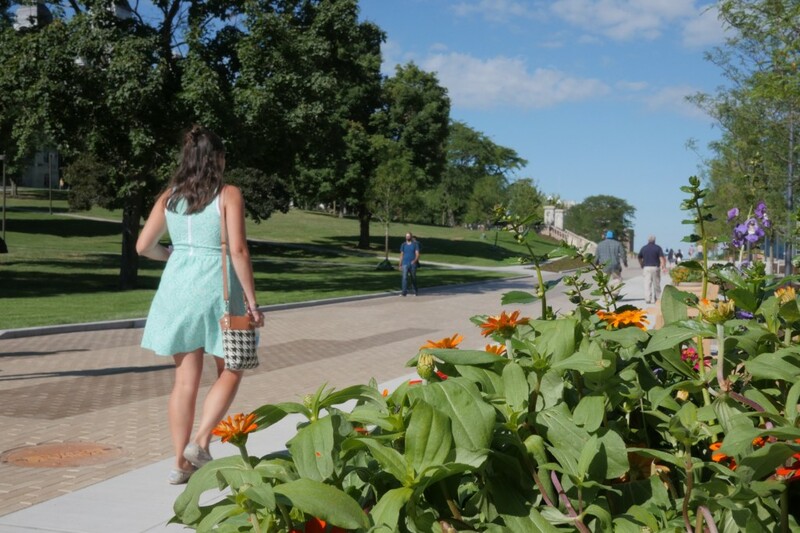 A pedestrian walks along the University Promenade, which fully opened today. The project also included a heated pathway that now leads to the plaza with the Syracuse University gateway sign, just below the Wall of Remembrance, making it accessible to those with mobility issues. University leaders hope the connection that brings together two areas that were once separated by a busy street will create a new type of synergy. “The Promenade has grown the core of Main Campus, and I am excited to see how the use of the space will develop as the campus community begins to live in it,” says Joseph Alfieri, director of Campus Planning, Design and Construction. 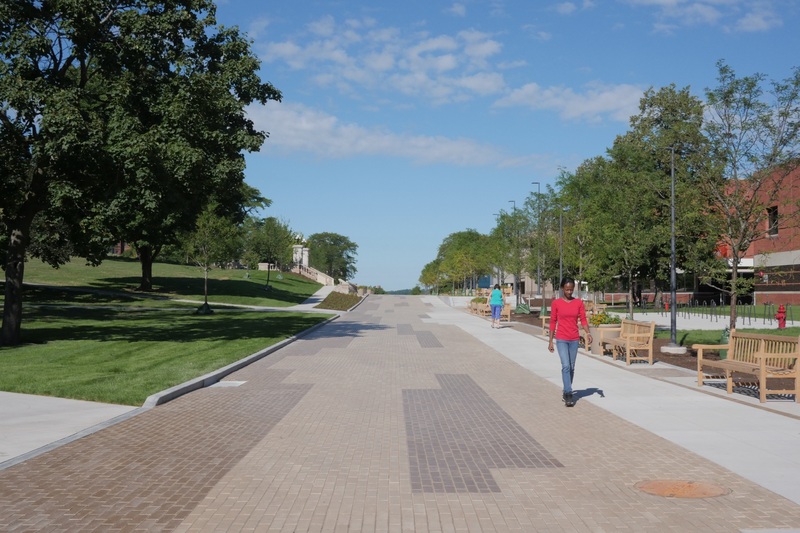 The University Promenade features activated plazas, improved landscaping and increased ADA accessibility.